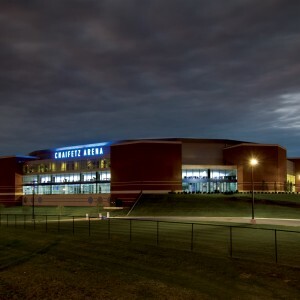 Chaifetz Arena is a 10,600-seat venue on the campus of Saint Louis University and is privately managed by Spectra Venue Management. 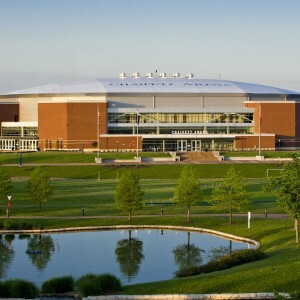 The venue opened in April 2008 and hosts over 150 events each year including concerts, family shows, community events and is home to SLU men's and women's basketball. 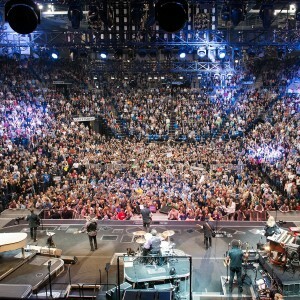 Sold out audiences have enjoyed incredible concerts and events including performances from Bruce Springsteen and the E Street Band, Elton John, Carrie Underwood, Mike Epps, Selena Gomez, Florida Georgia Line, Sam Smith, Eric Church, Demi Lovato, Cirque du Soleil, just to name a few. Chaifetz Arena is named in honor of University alumnus Dr. Richard A. Chaifetz (SHAY-fetz) who made a $12 million naming gift to Saint Louis University. Chaifetz, a 1975 graduate of Saint Louis University, is a licensed neuropsychologist and is founder, chairman and CEO of Chicago-based ComPsych Corporation, the world's largest provider of employee assistance programs. Chaifetz is one of the world's most frequently quoted experts on behavioral health, workplace issues and employer and employee trends. Saint Louis University is a Catholic, Jesuit institution that values academic excellence, life-changing research, compassionate health care, and a strong commitment to faith and service. Founded in 1818, the University fosters the intellectual and character development of nearly 14,000 students on two campuses in St. Louis, Missouri and Madrid, Spain. Building on a legacy of nearly 200 years, Saint Louis University continues to move forward with an unwavering commitment to a higher purpose, a greater good. Learn more about SLU at www.slu.edu. Spectra's Venue Management division is the industry leader across a full range of services that impact the bottom-line success of public assembly venues, including marketing and sales, corporate partnerships, event booking, ticket services and box office management, customer service, operations and engineering and finance and administration.